Published in 2003, Lou Cannon’s “Governor Reagan: His Rise to Power” is the prequel to his 1991 biography “President Reagan: The Role of a Lifetime.” Cannon is a journalist who covered Reagan for nearly four decades – first as a reporter for the San Jose Mercury News and later as White House correspondent for The Washington Post. He is the author of five books on Ronald Reagan. 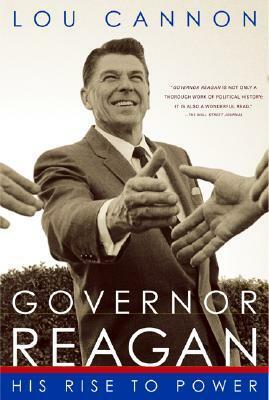 As the most recently published of Cannon’s books, “Governor Reagan” is informed by an extremely wide array of sources including hundreds of interviews with individuals associated with Reagan’s gubernatorial campaign and administration, detailed cabinet meeting notes and other insightful documents including memoirs and diaries. Despite its title, this 511 page book does not focus exclusively on his two terms as California’s governor. The first one-fourth of the book proves an extremely useful review of his childhood, education and careers in radio and television. Half of the book is devoted to an astonishingly thorough and penetrating review of his gubernatorial career. And the last quarter of the book focuses on his campaigns for the presidency in 1976 and 1980. More a political than personal biography, Cannon’s book nevertheless provides significant access into Reagan’s inner-self: aspects of his childhood which influenced who he was to become, the devastation he felt after the failure of his first marriage, his unconditional lifelong devotion to Nancy, and the elements of his personality which proved to be political strengths or weaknesses. Cannon demonstrates a careful sense of balance throughout the book. On balance, he displays an almost reluctant sense of respect for his subject which seems to have been earned over time rather than simply being a function of the author’s political ideology. His writing style is articulate, straightforward, detailed and perceptive. And Cannon is clearly a gifted journalist if not quite as much a natural storyteller. The first pages of most chapters – where Cannon tends to lay out an overarching theme or message for the topic being covered – are often the most valuable pages in the biography. And the detail and color he is able to provide on many subjects, such as Reagan’s Hollywood career, is impressive. Cannon brilliantly traces the evolution of Reagan’s political philosophy from his early adulthood through his campaigns for the presidency. But while the book’s core – 260 pages reviewing his two-term governorship – is meticulous and historically invaluable, the most interesting part of the biography may be the chapters describing the various personal, political and strategic issues Reagan faced while pursuing the presidency. 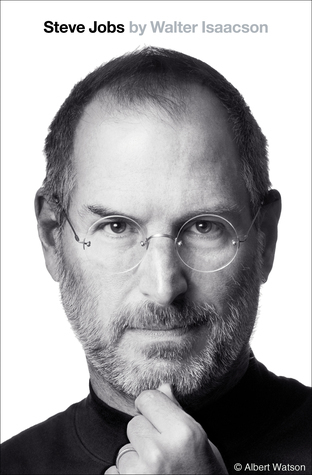 But for all this biography’s merit, many readers will find it too detailed. The discussion of Reagan’s work for the Screen Actors Guild, for instance, eventually becomes tedious and the fifteen chapters covering his time as governor become exhausting under the weight of their microscopic focus on events. As a result, this book is undoubtedly valuable for historians but may not provide the thrilling narrative some readers seek from a biography. Overall, however, Lou Cannon’s “Governor Reagan: His Rise to Power” proves to be a comprehensive, revealing and often interesting review of Ronald Reagan’s pre-presidency. It is hard to imagine a more thorough or insightful review of his gubernatorial career – a fact that will attract some readers while deterring others. But anyone with a modicum of persistence will find this book provides countless nuggets of wisdom and an unusually perceptive portrait of Ronald Reagan.